With millions of dollars invested in renovations worldwide in recent years, Club Med has spared no expense to ensure you the stay of your dreams and your feedback continues to confirm our every step. Our upscale transformation has consistently led us to be rated among the best based on user reviews. It’s not only our guests that have been talking about the new Club Med. The experts agree that there’s never been a better time to become part of the Club Med family. Now, we simply want to say thank you. 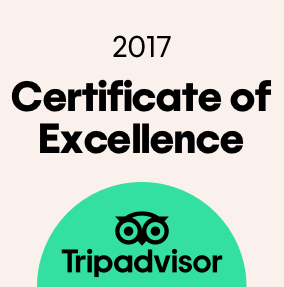 Thanks to the millions of reviews left on TripAdvisor, 25 of our Resorts have won the TripAdvisor Travelers Choice award for 2017 in the family category and 49 of our all-inclusive Resorts throughout the world have been awarded with Certificate of Excellence for 2017. Every day, over 1.4 million Facebook users worldwide share their Club Med love, their vacations snapshots and experiences each day. With addictive and decadent culinary delights, enlightening excursions, and sensual spa treatments, it’s easy to see why Club Med has the best loyalty rate and our customers join us time after time to form vacations memories that last a lifetime. That is what makes us the Most Loved Vacations Brand! A family resort rich in history, culture and sports, transformed with modern allure. A Caribbean family paradise and majestic golf destination. Discover our novelties : Club Med CREACTIVE by Cirque du Soleil and the Zen Oasis. The ideal resort for families with babies & children of all ages. Sandpiper Bay is an all-inclusive haven for those looking to get away and get moving. In 2017, Club Med Punta Cana has been awarded the Editor-in-Chief Award for Best All-Inclusive Resort! Condé Nast Traveler is a luxury and lifestyle travel magazine sharing the best travel destinations in the world. It is considered by many as “the global citizen’s bible and muse — the most discerning, up-to-the-minute voice in all things travel”. More than 300,000 travelers took part in the 29th annual Readers’ Choice Awards survey submitting millions of ratings to create a list of winning favorites. In 2016, Club Med Cancun Yucatan has been elected one of the Top Resorts in Eastern Mexico!